At Northwest Hospital nothing is more important to us than providing quality care to our patients in a safe and nurturing environment. It is our reason for being. In every encounter with every patient at Northwest, our focus is on achieving the highest level of clinical quality and safety. 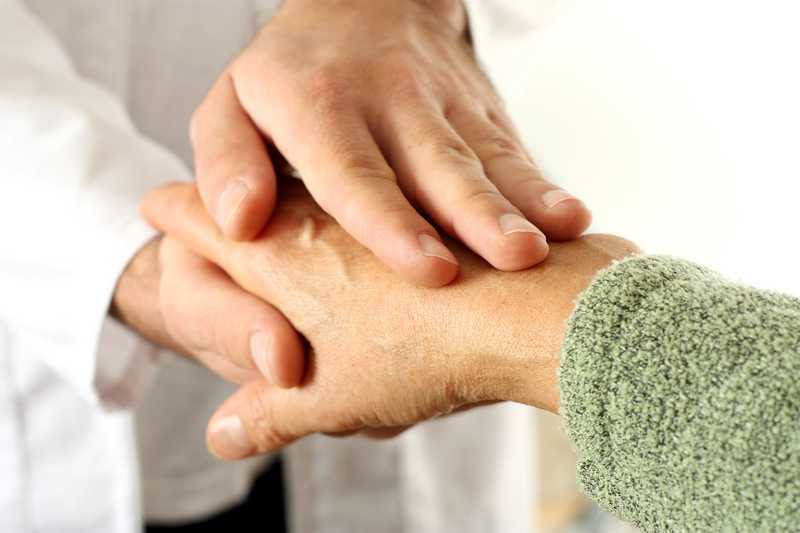 We are proud of our staff for the compassionate and personalized care they provide. This is a hallmark of Northwest Hospital. Ultimately, however, we know that it is the quality of care and a safe environment that best serve our patients and our community. That is why everything we do is driven by our commitment to quality and safety. Our standards for clinical quality flow from the evidence-based best practices of medical facilities nationwide. These best-practice guidelines are designed to minimize variation in our clinical processes and improve outcomes for our patients. Working in conjunction with our administration and board, we set yearly patient safety goals and create plans at both the LifeBridge corporate and local levels to meet or exceed these goals. But reaching our performance goals are not ends in themselves; we do this because of our unwavering commitment to providing the highest-quality service and safest possible environment for our patients and visitors. Northwest Hospital is accredited by The Joint Commission, an independent, not-for-profit organization that is among the most prominent accrediting bodies in the health care industry. Our most recent on-site survey by The Joint Commission occurred in 2013. During the three-day visit, a team consisting of a nurse, an admin, an engineer and a physician surveyor conducted a thorough examination of our facility, our records and our practices, and interviewed a number of hospital staff members. As a result of that visit, we received the organization’s maximum three-year accreditation. Ask questions. Questions help you stay informed. If you don't understand something, ask again. Also, speak up if something doesn't seem right. Review instructions with your doctor, nurse or pharmacist. You can say, "I want to make sure I know how to care for myself at home." Repeat the instructions given to you as you understood them. Northwest Hospital Pre-Procedure Checklist is a process to ensure that wrong-person, wrong-procedure, wrong-site surgery never happens at Northwest Hospital. For your safety, you will be asked your name, your date of birth, what procedure you are having, and what site is being operated on multiple times before your surgery or procedure. Then a patient identification bracelet will be placed on your wrist. Bring an up-to-date list of all medication you take with you to the hospital. The list should include all over-the-counter (OTC) medicines, vitamins and dietary supplements you take. Do NOT shave near your surgical site. Shaving can cause irritation, which may contribute to infection. Remove all jewelry, including rings and body piercing before you come to the hospital. Make sure your surgeon, nurse and anesthesia provider are asking your name, date of birth, what procedure you are having and what site is being operated on. Please speak up if someone forgets to ask you. Turn on water to a lukewarm temperature. Hot water is not recommended as it dries the skin and increases the risk for contact dermatitis. Rings, watches and other hand jewelry should be removed. Wet hands with running water and apply soap and spread over all surfaces of the hands. Hold hands and forearms lower than the elbows during the procedure. Wash hands and wrists vigorously for at least 15 or more seconds, paying particular attention to areas between fingers, thumbs and around and under fingernails. Rinse hand thoroughly under running water to remove soap. Pat dry hands thoroughly with paper towel. Use paper towel to turn off faucet to avoid re-contaminating the hands. Discard towel in a regular trash can. Apply to intact, dry hands that are free of visible debris and/or organic matter. Apply sufficient amount into palms to cover all surfaces of hands, fingers and thumb thoroughly. Rub hands together, covering the entire surface of the hands and fingers, including nails until dry. Allow the alcohol to totally evaporate from the skin to maximize effectiveness and decrease irritation. Do not wipe off with a paper towel or rinse off with water or fan the hands to speed drying. If there is no running water, remove visible soil with a wipe, then use the alcohol based hand rub. Northwest Hospital is committed to reducing patient falls and educating patients and their families/caregivers about fall risk reduction strategies. As part of the Northwest Hospital fall prevention program, the nursing staff assesses each patient every day for risk of falling. If you are identified as being at risk, the nurses will implement a variety of interventions to decrease the risk of falling. A yellow wristband and yellow slippers. These things remind you, your family and hospital staff that you may need help walking or getting out of bed. Using an alarm system that will notify staff if you get out of bed without help. Offering you the chance to use the bathroom regularly. In the hospital, you are in unfamiliar surroundings. Getting around is not the same as it is at home. You may be taking medications that make you sleepy or disoriented. You may be connected to IVs or other medical equipment. Ask for assistance from the nursing staff as needed.